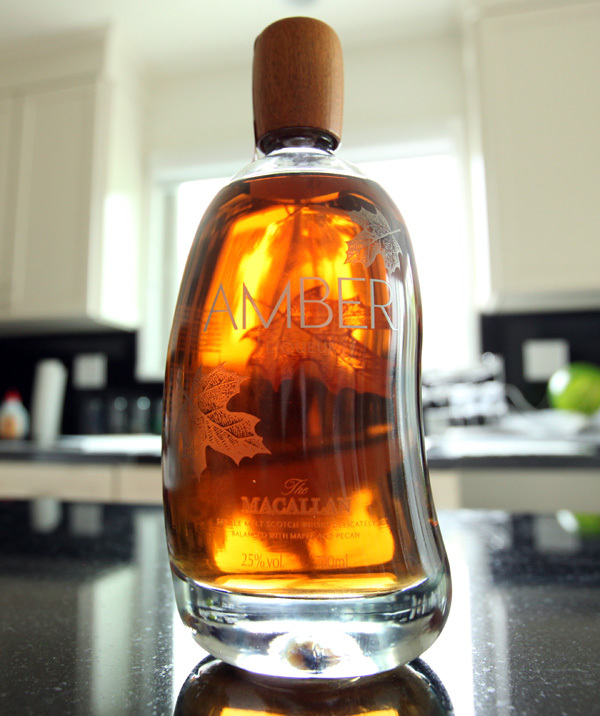 Macallan’s Amber liqueur is so good that it’s worth sharing–even though it’s hard to find since they stopped making it. It’s a single-malt scotch liqueur with maple and pecan flavors. NOTCOT gave us some to try, and if you’re curious there are sources online for procuring a bottle. It smells like scotch and maple syrup! Have I built up enough of a demand and air of mystery? The light smokiness of the scotch pairs perfectly with the sweet maple and pecan flavors. It’s not overly sweet, and there’s a little citrus and spice flavor to round out the experience. It definitely makes me want to pour it over French toast or bake it into a dessert. For mixing, I’ve paired it with apple cider and (naturally) scotch with tasty results. Everyone who has tried it raves. It’s far more complex than you’d expect and not syrupy, so even pouring a little over ice is a pleasant drink. Can’t forget about the pretty bottle! The wavy shape and leaf print make me smile every time I look at it. 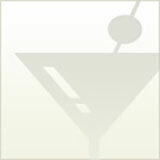 ← Happy Repeal Day - "Cinco de Drinco"